The Spiritual Life Center is located on the beautiful grounds of Holy Family Retreat & Conference Center. The campus includes an outdoor labyrinth for walking meditation, 48 wooded acres, sculpture and perennial gardens, trails and an outdoor koi fish pond. The Spiritual Life Center shares space with three other independent non-profit organizations: Holy Family Passionist Retreat Center, Copper Beech Institute and The Monastery Gallery of Art. The ministry at Holy Family is sponsored by the Passionist Priests and Brothers of St. Paul of the Cross Province and directed locally by the retreat team, which consists of Fr. David Cinquegrani, C.P., Bill Walsh, and Brandon Nappi, D.Min. Holy Family Passionist Retreat Center ministers to some 19,000 men, women, and youth each year with a message of hope, spiritual growth, and transformation. For over 65 years, Holy Family&apos;s retreats have provided people with an opportunity to quiet their minds, nourish their spirits, and explore their relationship with God. Situated on 48 idyllic acres, Holy Family is also a respite for those in recovery from alcoholism and addiction providing a supportive place to begin or deepen sobriety. The Holy Family youth ministry welcomes more than two thousand teens each year to cultivate the inner courage and strength that will be necessary on life&apos;s journey. Within the oasis of Holy Family you will find dynamic preaching, inspiring music, generous hospitality, a spirit of exploration and dialogue, along with the universal spirit of welcome to all people. Copper Beech Institute is an oasis of growth and transformation no matter your background or experience. We invite dynamic leaders and spiritual teachers from across the globe to share wisdom and practices to heal, transform, and empower us to live fearlessly with joy and resilience. 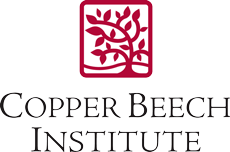 Copper Beech Institute envisions a future where mindfulness and contemplative practice are transforming our daily lives, our personal relationships, and every level of society affecting a healing shift in how we relate to one another and the earth. If you are a seasoned practitioner of meditation and yoga, you are welcome to deepen your practice here. If you have always wanted to explore mindfulness and contemplation but have never had the opportunity, we encourage you to discover something new here. If you simply need a space to rest, reflect, and explore the deep questions of life, you are most welcome to relax and play here. The Monastery Gallery of Art, at Holy Family Passionist Retreat Center, unites the arts, creativity, and the sacred. We welcome works from artists of all backgrounds drawing on the wisdom of diverse faith traditions. Through exhibitions and educational programs, the Monastery Gallery of Art values and promotes all forms of art that explore themes of compassion, resilience, peacemaking, loving kindness, social justice, and care for others and our planet.